As the winter is drawing to a close we find ourselves missing Hawaii. Maybe it is not so much Hawaii specifically but rather a nice warm beach where we can get in the water and explore the sea life. That is really what it is I think, we miss it desperately these days! So since we have been thinking about it, I did what any sane travel obsessed person would do. I started researching all the cool beachy areas in the world that I haven't been to. Mauritius stood out as I was searching due to its location and beauty. I knew little of this tiny island nation but am thrilled it is now on my radar and I am already in the process of planning great holidays to Mauritius for my family! Mauritius is a small island off the coast of East Africa and set in the Indian Ocean. Of course with it being an island there are great beaches and fun that can be had in the water but there is even more to this small island than that. 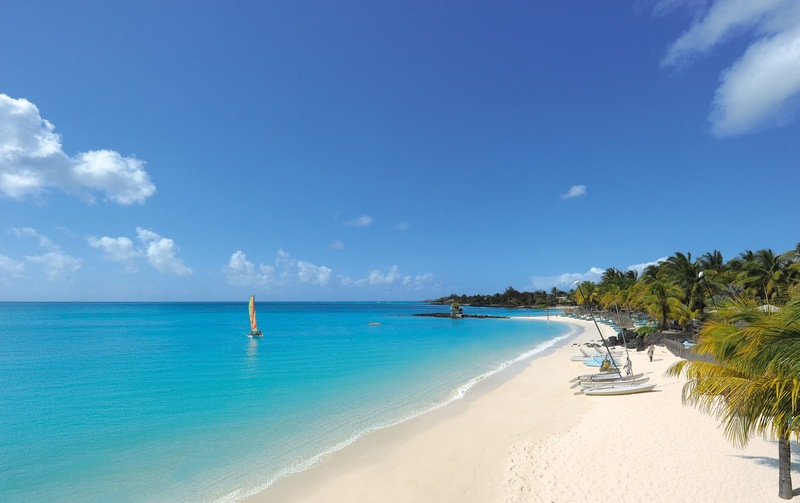 Read on to see why Mauritius should be your next vacation destination. We will start with the obvious. The beaches of Mauritius are stunning. The Indian ocean has beautifully clear water making it a great destination for sun bathing, snorkeling, and all sorts of adventure water sports such as kite surfing which is gaining in popularity. Grand Baie is a great resort area that offers nightlife, water sports, and happens to be the perfect jumping off point for exploring the Northern area of Mauritius. No vacation would be complete without some yummy food. Of course Mauritius offers all kinds of restaurants to suit most every taste but the real gem on this island is its street food. I have been to many areas with excellent street food and the food in Mauritius apparently rivals them all. The blends of African, Creole, and Indian food give everything a powerful punch of flavor. In my opinion street food is where you get the most fresh and locally substantial meals. It may not sound like much but these areas of local production can be a photographers dream, not to mention giving the opportunity to learn about what products are grown in the area. You can take guided tours or just simply stop by the side of the road and snap some photos. 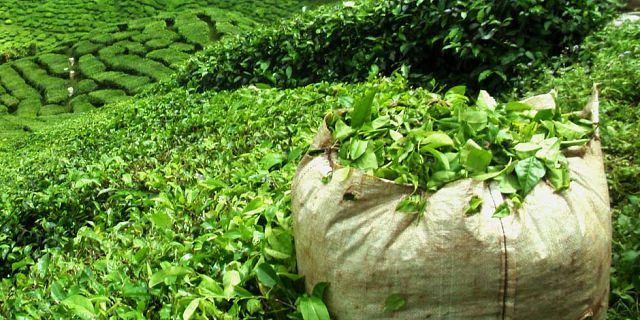 Either way the tea and sugar cane fields will be an appreciated side trip. Don't forget to grab some tea and sample the sugar cane juice, freshly squeezed while you watch! Chamarel Village offers a beautifully scenic drive full of gorges, waterfalls, and great stop off opportunities to rest and take yet more photos. The village itself is a bit of a canvas. Painted Earth of varying colors greet you with a stunning backdrop of a towering waterfall to also explore making this a definite must visit for any trip to the area. 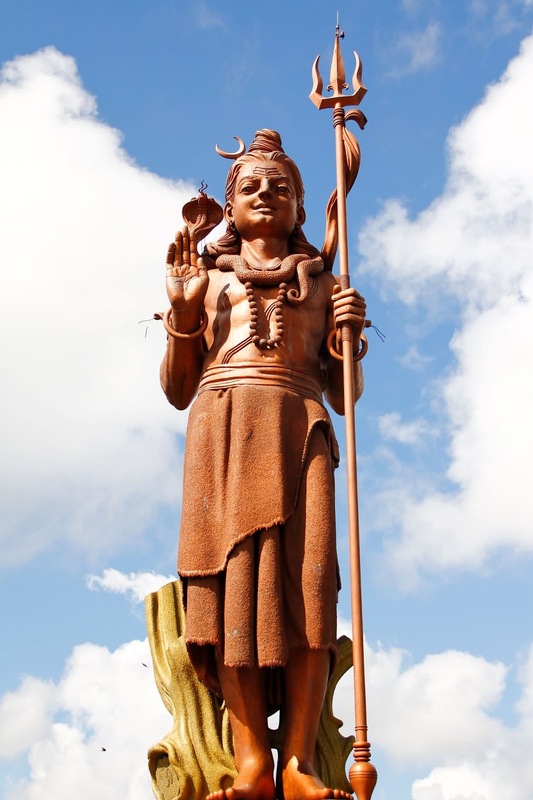 If religion and symbolism is your thing or if you just like checking out all the odd roadside attractions then look mo farther than the worlds larges idol of Shiva. Towering at 108 feet this statue is just the beginning to exploring the Grand Bassin area. The area is generally rich in culture and religion. The Grand Bassin itself is a large lake set high in the mountains and is the most sacred Hindu area so be sure to be respectful while there. Black Gorges is a lovely national park covering over 6500 hectares of land, Here you can hike the area, discover and photograph hundreds of different plants and flowers, and bird watch. Be on the look out for the pink pigeon, a bird endemic to the island and one typically easy to spot in the park even though it was nearly extinct not long ago. If flowers and gardens are your thing then look no further than the Pamplemousses garden. It covers 60 acres of land and has been visited by some of the most prominent and important people in the world. 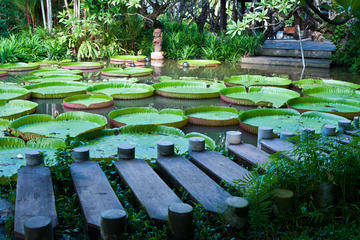 There is a large variety or flowers, trees, lily pads, and animals to enjoy! There you have it! This list is just the beginning. Start planning your trip today to discover all of the beauty, culture, and history available to explore in beautiful Mauritius!